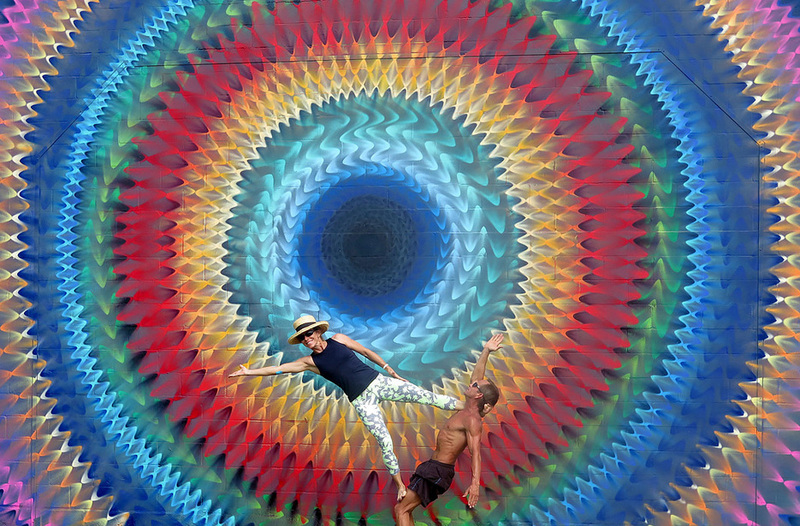 Miami-based artist Douglas Hoekzema, also known as Hoxxoh, creates incredibly beautiful kaleidoscopic murals. 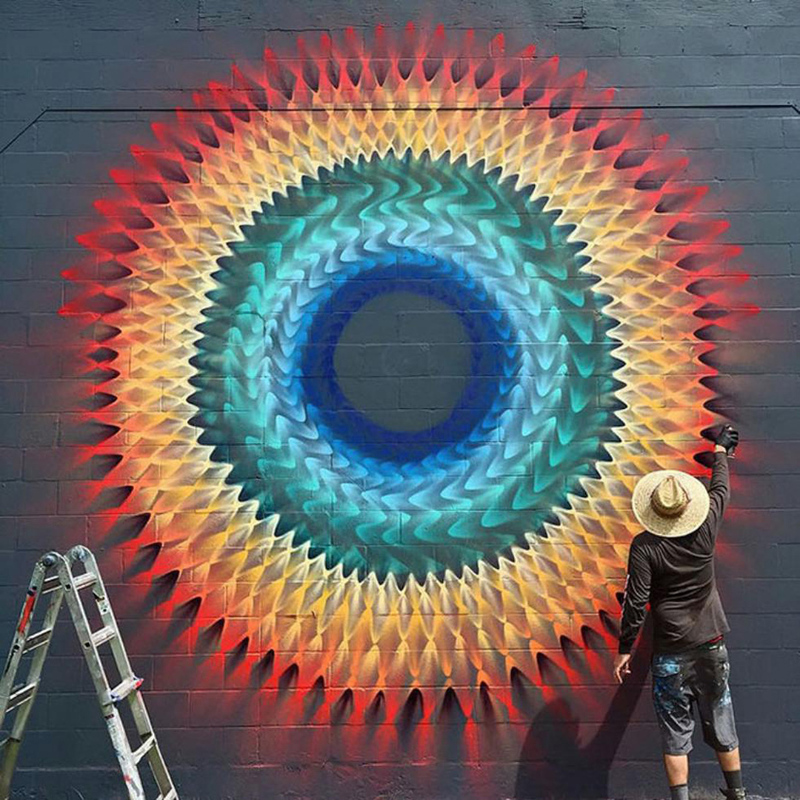 By layering different colored continuous rings, he can turn a plain wall into a hypnotizing portal-looking mural that looks like you could be sucked in if you stand too close! The artist has been drawing since he was a teenager and with his art he wants to show people a different way of viewing time. Rather than trying to control time, he believes people should let its predetermined course take control. Hoxxoh’s art represents what happens when we let go of our control of time and it’s absolutely beautiful.